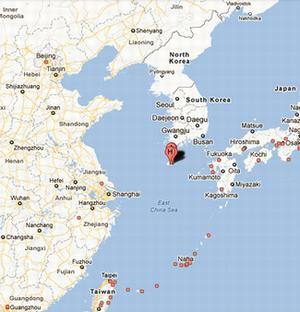 JEJU ISLAND, South Korea, February 24, 2012 (ENS) – The South Korean Navy is building a military base on Jeju Island, a UNESCO World Heritage Site just 300 miles from the Chinese mainland. The base will become a port for U.S. Navy Aegis destroyers outfitted with the missile defense systems that are key to Pentagon planning for this strategic location, surrounded by China, North Korea, Russia and Japan. But the 400-year old Gangjeong fishing and farming village on Jeju Island is being destroyed to build the base. The base site has the cleanest water on the island and the world’s finest lava tube cave system. Endangered soft-coral reefs offshore will be destroyed when the seabed is dredged to get U.S. warships into the port. Today, to demonstrate their opposition to the Gangjeong Naval Base, 150 peace groups from across Korea and around the world are gathering on Jeju. They are attending the 20th annual organizing conference of the nonprofit Global Network Against Weapons & Nuclear Power in Space, which is headquartered in Brunswick, Maine. 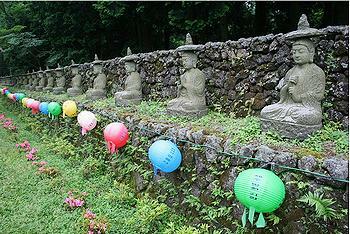 The theme recalls that Jeju was dubbed the “Peace Island” by the Korean government in January 2005. The name commemorates the events that began in 1948 when Jeju residents rose up to protest what they viewed as a long-term division of the Korean nation by boycotting the unilateral election in Seoul. They were labeled as Communists and suppressed by local police and national military forces which were allegedly backed by the U.S. government. Numerous villages were burned and civilians slaughtered, in a period that lasted the entire duration of the Korean war. Now there are plans to dock 20 ships equipped with advanced missile systems here. Aegis warships test their systems at the Pacific Missile Range Facility on the Hawaiian island of Kauai. To express their opposition to this testing, several Global Network leaders held a series of public meetings in Hawaii February 18-22 before heading to South Korea. 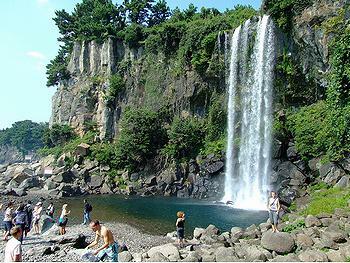 Jeju has become the only “triple crown” winner in UNESCO’s nature and science field with designations of Biosphere Reserve in 2002, World Natural Heritage in 2007, and World Geopark in 2010. As one of the final contenders for the New7Wonders of Nature, Jeju has been recognized by the world for its outstanding value. Jeju Governor Woo Keun Min has plans to make Jeju a center for eco-tourism, and he hopes to attract two million foreign tourists annually. Visitors come to see Mount Halla, the highest in Korea, with its waterfalls, multi-shaped rock formations and lake-filled crater. They explore lava tube caves with multi-coloured carbonate formations of roofs and floors. “It is clear that the current doubling of U.S. military operations in the Asia-Pacific region is going to have severe implications for people who live there and for world peace,” said Gagnon. “In a society traumatized and brutalized by military persecution, the idea of a military base on the island that will house 25,000 troops is difficult for Jeju’s people to accept,” writes Dr. Anne Hilty, a psychologist from New York, now living on Jeju Island. The Jeju protesters will get support this week from the peace activists from England, India, Japan, Sweden, Taiwan and the United States and from across South Korea who are participating in the Global Network conference. 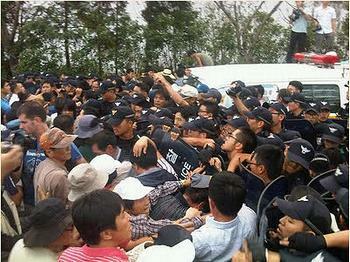 Late last week, nine Catholic priests climbed over the fence and made their way onto the rocks by the sea in Gangjeong village to protest Navy base construction. They were all arrested. Focus of discussions at the Global Network conference will be the Obama administration’s “pivot” of U.S. foreign and military policy toward the Asia-Pacific region and its controversial “missile defense” deployments in the region. This is Jeju’s year in the environmental spotlight. In September, the island will host the world’s largest environmental event – the World Conservation Congress of the International Union for Conservation of Nature, IUCN – held only every four years. Over 15,000 environmental specialists, scientists, students, and locals are expected to attend the 10-day event.